Which Homeschool Option Is Right for Your Family? Every Iowa homeschooling parent has to choose a homeschooling legal option. Some of you have been homeschooling for years using the same legal option every year. 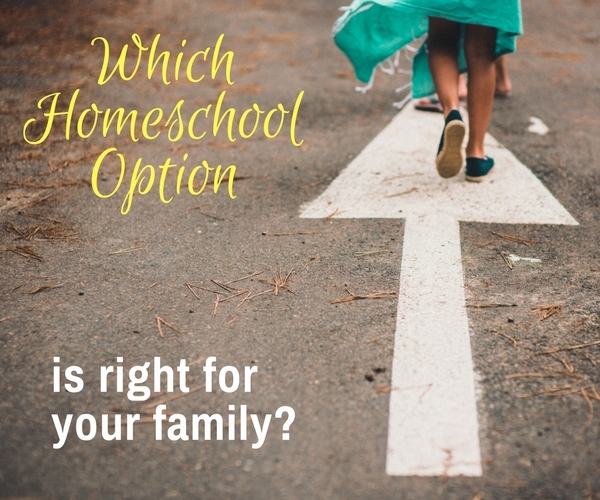 Some of you have utilized a variety of options during your homeschooling years. Some of you are just starting to homeschool and are facing the decision for the first time. Regardless, you can use these key determining factors when selecting your Iowa homeschool legal option. If you want this, you’ll need to use one of the legal options that does not require paperwork filing at the beginning of the school year or mandate public school oversight of your children’s educational programs. - Independent Private Instruction (IPI). If you want access to public school services, activities, or classes available to fully-enrolled students, you’ll need to use one of the Competent Private Instruction (CPI) options that require the filing of CPI Form A. - CPI Option 2 with Opt-In. When you file the CPI Form A, you’ll mark “Yes” on Item #9 requesting dual enrollment. If your student is under age 6 or age 16 or over, however, you can file the CPI Form A with only Items #1, #2, and #9 completed to access dual enrollment. This will provide access to public school services, activities, or classes and all Senior Year Plus options. Since these students are not of compulsory school attendance age, the additional requirements for CPI with reporting (e.g., filing a plan of instruction, meeting with a supervising teacher, or submitting annual assessment results) are not required. Dual enrollment, as described above, is also the means for homeschooled high school student to access Senior Year Plus options. The only exception to this would be that students under Independent Private Instruction (IPI) can access concurrent enrollment community college classes. If you wanted this, you used to need to use one of the Competent Private Instruction (CPI) options. The current Iowa Code section governing Parent-Taught Driver Education was created in the same legislative action as Independent Private Instruction, so IPI is not mentioned (as it did not exist when the Parent-Taught Driver Education bill was drafted). However, the Department of Transportation currently accepts applications from parents using any of the Iowa homeschooling options, including IPI. If your student has been identified by the public school system as requiring special education services, you will need to decide if you want to continue to utilize the public school system to meet those special education needs or if you want to provide for those needs privately. If you want to continue to use public school special education services (including those through the AEA), you’ll need to use one of the Competent Private Instruction (CPI) options that require the filing of CPI Form A – either CPI Option 1 or CPI Option 2 with Opt-In. When you file the CPI Form A, you’ll answer the questions under Item #8 and mark “Yes” on Item #9 requesting dual enrollment. You’ll also have to receive permission from your AEA special education director to homeschool your special-education student. If you want to opt out of public school special education services (including those through the AEA), you can do that in one of two ways depending upon the legal option you've chosen. If you've selected an option that requires CPI Form A filing, you simply mark “No” on the second questions under Item #8 on the CPI Form A. If you've selected an option that doesn't require CPI Form A filing, send your resident public school officials a simple written notice that you will be providing for your child's special education needs privately and you no longer desire public school special education services. If you want this, you can use any of the options. Some homeschooling parents believe that they have to select CPI Option 1 in order to receive the assistance of an Iowa licensed teacher. While CPI Option 1 requires a specified schedule of oversight meetings with an Iowa licensed teacher, homeschooling parents using any legal option can make private arrangements to receive outside assistance or supervision. If you want to homeschool unrelated children, the Iowa Code specifies that up to 4 unrelated children can be instructed under the Independent Private Instruction (IPI) option. As you read through this list of factors, consider whether or not you have selected the best possible option for your homeschooling family. Find complete information about Iowa homeschool legal options here. I am wanting to know how to get my daughter started in a homeschool program. I want to know if there is any cost and how I would go about getting it set up. We’re happy to hear that you are considering home education for your daughter. The cost involved in providing homeschool instruction varies widely depending upon many factors, including the age of the student, the instructional approach used, the educational materials selected, etc. If you have additional questions after you click through the guide, we encourage you to reach out to your Homeschool Iowa Regional Representative. You’ll find the representatives and their contact links listed on the Regional Representatives page, in our website’s “Resources” pull-down menu.